This is a simple recipe for which no text is provided. Just follow the video and the English sub-titles. im a bachelor.ur videos r really helpfull to persons like me.i want to buy MICROWAVE oven.which 1 to buy(convection r grill).im single person,nobody for me.my use is for tea,coffe n little cooking,or should i buy Nescafe cofee machin for tea n coffe or microwave oven is enough fr me.pls advice me madam. If you cook, then you may think of a solo microwave oven which would assist in reheating cooked food , sizzling vegetables,and heating water. 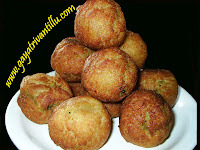 Hey Gayatri, Thanks soo much for these recipes. They look so great. I just saw carrot halwa, cant wait to try it out myself. Your Website and blog are very useful for amateur cooks. Please advise us how to prepare Sweet supari(SUGANDH VAKKA PODI)please. 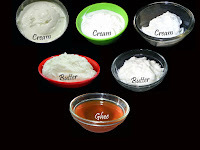 how to separate rice flour and rice rawa after grinding the rice?